Spinach cooked with cheese cubes and seasoned with freshly ground herbs. Served with basmati rice. Mixed vegetable and paneer dumpling in a vegetable curry. Served with basmati rice. Tender chicken pieces marinated then finished in a fenugreek flavored tomato sauce. Served with basmati rice. Definitely the best Indian I've found in this area of Brooklyn/Ridgewood. All the entrees I've had have been great - Chicken Curry, Vindaloo, Masala, and Palak Paneer. The set meals are a great deal and the samosas are super spicy and tasty. Always arrives quickly and still hot. Only complaint is that the naan is just ok. I have been ordering from Tandoori Masala for a long time- they are consistently on time with delivery, they have always gotten my orders correct, and the food is delicious! One of my favorite Indian restaurants in the area, I highly recommend you try this spot. Most Indian delivery in BK is pretty mediocre, bar from a few places. This is one of those places. I'd order from here again in a heartbeat - as an Indian myself who eats a lot of Indian food, I was pleasantly surprised with the quality. The food was great. The portions were smaller than I expedited, but the food was delicious. The cauliflower could use a tad more time cooking; it was a little soggy when it arrived. All the sauces were tasty. We don't give positive reviews enough. This is my favorite Indian place. I think I've ordered 100 times from them already and they always try to be on time. Even got free samosas tonight! Can only recommend! Some of the best food I've ever had, period. The chicken soup--phenomenal. I've tried a range of dishes at this point, and all of them were outstanding. I've never been to their premises and have always ordered in, when I order I know I'll get my food on time, with lots of delicious sauces, its like a promise we continually keep---the food is consistently fabulous and I will feel consistently fabulous for ordering from them in the future. Great tasting food. Almost always early or on time delivery. Definitely on our top list on seamless. We usually order tandoori chicken, samosas, chicken tikka Masala and Chana saag. Just tried their cauliflower Manchurian. Didnt think I was going to like it but its really good. The kids love it too! They forgot utensils a few times but other than that I highly recommend this place. Secret Indian gem in Brooklyn. I've tried all the Indian restaurants in the area and this is hands down the best, with fast delivery and fresh food. I often get the cauliflower manchurian and the vegetable platter appetizer, which comes in some insane sauce that I dream about. Every dinner special I've had was excellent as well. Lamb rogan josh is one of my favorites when it's done correctly, and it is here. The food arrived early. I don't normally order Indian food at night because it can give me heartburn, but I flaked out on dinner and by the time I realized I needed to eat, everywhere else was closed. The food was really good and authentically spiced. The way you can tell is if your skin smells like curry after you eat it. And best of all, no heartburn! Definitely the best Indian food I have ordered from Seamless in the area. Everything was on point - even the Gobi Manchurian still has a crispness to it when it arrived! DELICIOUS! I hope this place is consistent! Other Indian Food options in the area tend to not be as elevated as Tandoori Masal and Im thrilled I have found it! 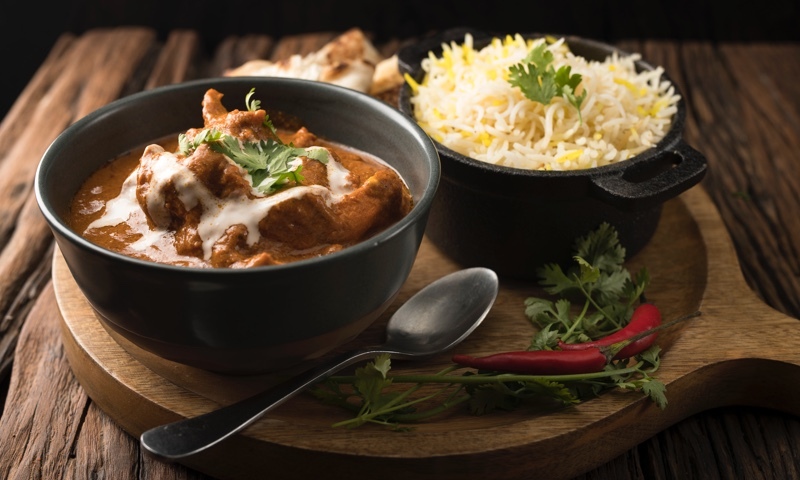 Whether you're craving a quick bite or looking to treat yourself to a delicious meal, you can now order your Tandoori Masala favorites for takeout or delivery.